I've been on a heathy cooking spree lately, now if there is one thing you should know about me is that I don't cook, my husband does most of the cooking at home. So this cooking spree has been a surprise to many around me. Most of the recipes have been coming from Skinytaste and the Eat Clean book and magazine. Needless to say, my favorite recipes are those that involve the least amount of work which means I use my crockpot A LOT. 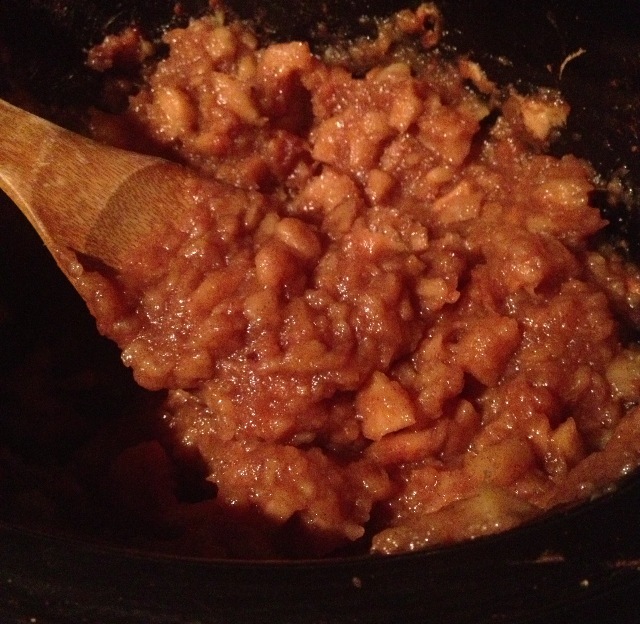 This Skinnytaste inspired applesauce recipe is one of my favorites. 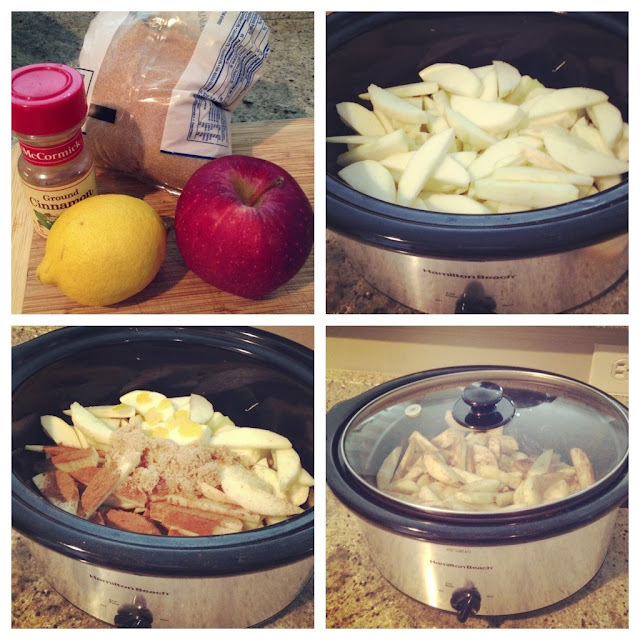 Jack absolutely loves it and my house smells delicious for hours! Jack likes his applesauce super chunky so I simply mash them lightly with a spoon but if you like a smoother consistency you can always use an immersion blender.